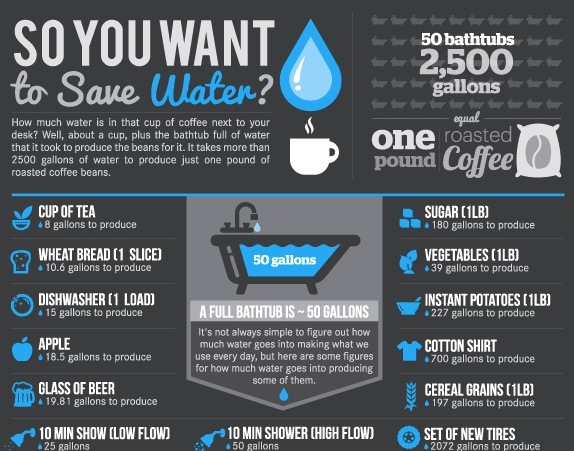 'So you want to save water' gives us a table of various day to day foods or activities and outlines and how much water they require, from the washing machine to a cup of tea. It makes you think about how much water went into giving you that food or activity. Maybe this may provide us with a different reason to cut down on meat, showers or even coffee..